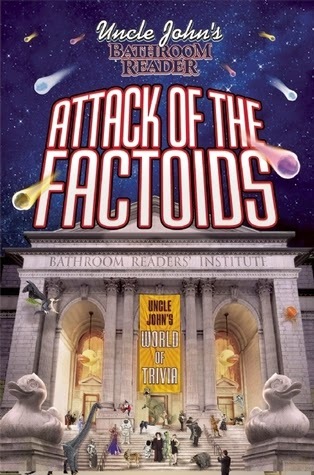 From Goodreads ~ Weighing in at over 400 pages, Uncle John’s Bathroom Reader Attack of the Factoids is a fact-a-palooza of obscure information. Like what, you ask? Well, did you know that bats always turn left when they exit a cave? How about that in the 1960s astronauts trained for moon voyages by walking on Hawaiian lava fields? Also, Lloyd’s of London insured Bruce Springsteen’s voice for 3.5 million English pounds, military toilet paper is printed in a camouflage design, Elvis Presley always wore a helmet when watching football on TV, King Henry VIII’s ladies at court had a ration of one gallon of beer per day, it takes the energy from 50 leaves on an apple tree to produce one ripe fruit, and the only country to host the Summer Olympics but not win a single gold medal was Canada in 1976. But that’s just the beginning! So what are you waiting for? ATTACK! I like these books because the information is bite-size, informative and great when you feel like reading but don't have the time or inclination to get into a novel or more serious book. The best-selling fiction author of all time is William Shakespeare. 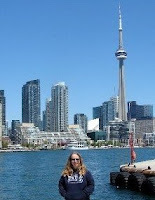 #2 is Agatha Christie. The average person speaks about 165 words a minute. The temperature of the lit end of a cigarette when the smoker is inhaling is about 1652F. Baby mice are called Kittens, pups or pinkies. Thousand Island salad dressing got its name from its birthplace - the Thousand Islands of the St. Lawrence River along the board of the U.S. and Canada. I love this kind of stuff! I am definitley getting this one.